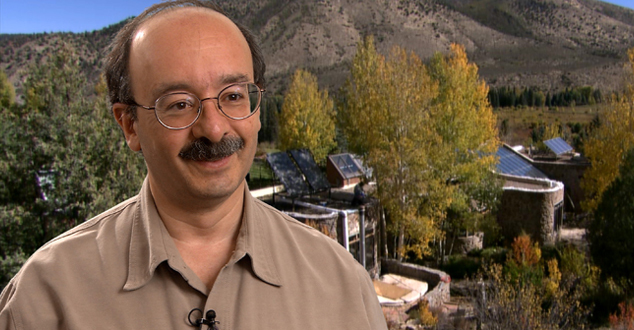 Physicist, Environmental Scientist, Writer and Chairman & Chief Scientist of Rockey Mountain Institute, Amory Bloch Lovins is well known for his work on energy policy and related areas. Named as one of the world’s most influential person by Time magazine in 2009, Lovins is also known as the father of the Negawatt Theory, which holds that utility customers don’t want kilowatt-hours of electricity; they just want energy services. 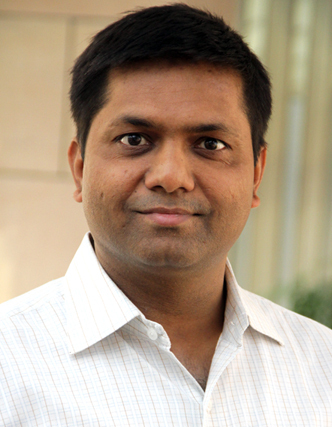 In conversation with Nalin Srivastava, Director, Dean’s Office ISB. Lovins holds that a shift from slow, lumpy investments to small, fast and granular projects would be very good for managing financial risk in the energy sector. Nalin Srivastava: In your recent book ‘Reinventing Fire’, you wrote that by 2050, energy consumption in U.S. would go down by 70 percent of the present level. How do you expect that to happen when the American population is growing at about 0.9 percent per annum, and by 2050 the U.S. economy would be 2.6 times the current size? Amory Lovins: We will quadruple the efficiency of using the electricity. Our total use of electricity peaked in 2007 and has been declining ever since. So, in the past five or six years even though the economy grew in four of those five or six years, we see downward trends, in absolute terms. Staggered or declining demand seems to be emerging as the new normal. How would this declining demand impact the utility companies? Of course, if the revenue shrink, so would their domain of financial stability; and they have a lot of catch-up investment to be made for maintenance, security improvements and so on. So I suspect a shift away from big, slow lumpy investments towards small, fast granular investments would be a very good tool for managing financial risk. Would that also mean mushrooming of distributed centres of electricity generation? Yes, both in supply and in the efficient or timely use. The modular mass-produced technologies can actually be deployed faster than central stations that take many, many years to license and build and then can only be built by specialised institutions. Our experience so far in the last few decades is that if you have small, fast modular investments that are accessible to many different market actors the total effect is greater and faster than a centralised system. Wouldn’t this disrupt the utility company’s business model? It will destroy their business model. The main European utilities have lost half a trillion euros already because they bet against German energy and they lost. And it was not because they did not know about it. I personally briefed the directors of about half those companies over the past decade telling them you had better jump in and invest in this. But they did not. So only about six or eight percent of German renewables are owned by the big producers of electricity and half are owned by individual citizens and their communities and co-operatives. Do you see the German model getting replicated in the U.S.? How reliable is the integration of renewables? And wouldn’t the uncertainty in the renewable’s production and demand require some form of bulk storage? I think there was apprehension about reliability, but as the operators gained experience they just keep increasing their renewable fraction by half in those four countries and at times even more. The question, what if the Sun doesn’t shine and the wind doesn’t blow and that we need a breakthrough in cheap bulk storage of electricity is not correct. We can actually forecast generation from photovoltaics and the wind power at least as accurately, as we can forecast demand. And just as the grid backups failed thermal units. In case of working thermal units the grid can, also, at lower cost, backup not working solar and wind power with other renewables. For renewables in United States, your book mentions, that the captive cost is expected to be US$6 trillion. Hence renewables, which have useful asset life of 25 to 30 years, would require investments of US$250 billion/year, whereas the United States’ entire energy portfolio can be financed with investment that are close to a percent of GDP, ~ US$100 billion/year. How would you justify the very high differential costs of renewables? In renewable you are not paying for the fuel. So what you need to look at, as the allocation of cost varies between capital and operating, is the levelised costs of the different options over their life span. In the windy parts of the Midwest United States, wind power contracts are now in the range of 2 – 2.5 cents a kilowatt. That is a fixed price for a 25-year contract. And similarly the long term solar contracts are coming in at or just below five cents. Both of these are continuing to fall and in the more favorable parts of the country, already beat a new combined cycle gas plant. To make a fair comparison with efficiency renewables that have constant price, you have to account for the gas price volatility, which can be estimated from an Options Straddle. Energy efficiency can help reduce the demand. What would motivate a consumer to initiate retrofit of existing buildings or evaluate the total cost of ownership over the capital cost of the building? Most of our effort in that sphere is in commercial buildings where the transaction costs are much lower. And we have figured out a package and a methodology –Deep Retrofit – that saves at least 60 percent of the energy and often is very cost-effective. There are about 60 or 80 well-known market failures in buying energy efficiency like why should I fix the building if the landlord owns it? Why should the landlord trace it if I pay the energy cost? But each of those obstacles can be turned into a business opportunity and all that stumbling blocks into stepping stones. But let me run through the numbers on why customers should be interested in efficiency. We found that a whole fleet of U.S. buildings could, by 2050, triple or quadruple its energy productivity with 33 percent IRR. We are not counting far more valuable external benefits like greater productivity, efficient offices, faster healing, more retail sales pressure, well maintained shops and so on. Those are often worth an order of magnitude of the energy savings. But with IRR, I am counting only the energy savings, very much understating the benefit. In industry we found out that energy productivity could be doubled with a 21 percent IRR. With mobility, because the U.S. could go completely off oil for about US$ 25 a barrel, it is a 17 percent IRR, no compromise whatsoever in any of these cases in the service provided, in fact it often gets better. And you can do all of the above and make the electricity supply system 80 percent renewable, half distributed and highly resilient for a 14 percent IRR. If, of course, you care about profit drops and competitive advantage this is a strong argument. But maybe you care more about national security, environmental protection, public health, and climate stability. Just focus on outcomes. So I would like to see it become general practice that we pay electricity and gas providers for cutting your bill and not for selling you more energy. Both of these (wind and solar energy) are continuing to be less expensive and in the more favorable parts of the country, already beat a new combined cycle gas plant. This is an interesting paradox. I was reading recently about a water utility, that due to drying of its existing aquifers, bought the nearest aquifer about 60 miles from town and laid pipelines that costed them a sizable sum of money. Meanwhile, it had introduced differential tariffs – that grew steeper with increasing usage, consequently residents curtailed their consumption and soon adjusted to their new ways. Now the utility is running out of money as it has invested heavily in securing and channeling abundant supply but is faced with diminished demand. Of course, because if you buy supply resources and deliver efficiently and in the end you get both, then you don’t have the revenue to support the supply investment. It is a very big risk for the energy supply industries too. This is what happened in the mid-80s where the supply industries invested heavily to expand supply. Meanwhile the price – and the concerns about energy that they had not paid much attention to, led many customers to buy efficiency and the two collided head-on and many of the providers went broke. And part of the reason for this is that efficiency investments are fast. So by the time you get your slow investments the market is gone. And you might think of efficiency as the rest of the iceberg, it is mostly below the water. The world is investing, says the IEA, over US$300 billion a year in efficiency, but nobody is measuring carefully how much is being saved and probably 99 percent of energy statistics are about supply and less than one percent about efficiency. So if you can’t see all that below the waterline stuff you can run into it and sink and never know what hit you. This is really interesting. What sort of mechanisms can create a win-win situation? Suppose we get policy innovation, at a State level, called the feebate; so when I go to buy a new car, within that size class of the kind of car I want there are more less efficient models. And if I buy one less efficient than the norm for that size in that year, then I pay a corresponding fee. But if I buy one more efficient than the norm for that size I receive a corresponding rebate, feebate for the rebate. Now think of this as arbitrage on the discount rate between society and the private buyer. Earlier the private buyer had such a high implicit real discount rate that they are only looking at the first year or two fuel savings. But if the car lasts for 15 years; society cares a lot about the 15 years for air pollution and climate and oil dependency and a lot of other things, such as, price volatility, etc. So if we use the feebate then the private buyer can use the social discount rate and look at the full lifecycle value of buying a more efficient model. Six countries are doing this; five in Europe and Singapore not in exactly the way I described. The biggest one in France in the first two years tripled the efficiency of improving, tripled the speed of efficiency. How do you see a surge towards the development of smart cities? We certainly are getting a lot more distributed intelligence as sensors and telecommunication become almost free. However, we should not get carried away with the ability to conduct pretty much a remote conversation with a washing machine. And although complex buildings with complex controls definitely need very careful design and execution of the controls, I actually prefer buildings that are passive so that they don’t need controls. In my banana farm in Colorado, the house originally had no controls, no thermostats. If it was too hot you opened the window, if it was too cold you closed the window and the building would simply return to a comfortable range by itself. I think the general design philosophy should be to take nothing, waste nothing, do no harm. In other words the philosophy of Ray Anderson interface and create abundance by design. You may know that the State of Andhra Pradesh would soon be developing several Smart Cities and at least one new capital city. What could be some of the things that the Chief Minister should focus on, as he has the opportunity to create something from scratch? I think that is wonderful. I think they should look very carefully at zero net-energy buildings that produce as much energy as they consume, they are very efficient and they have solar power built in on the top of the building, something which is fairly widely done now especially in Europe and the economics can be very good. If they are building a capital from scratch, they can design it around people and not cars, and build smart roads so that people can walk or just bike a few minutes to where they want to be instead of having to get into a vehicle. This greatly reduces needed mobility and infrastructure investment and it can achieve the same densities as high-rise super blocks and a much better way to live, and much happier people, stronger families, closer communities. They could consider integrating agriculture into the fabric of the city. They could design the urban services around customers. They can also probably avoid a lot of normally required infrastructure. So for example, if a building not only captures its own energy, it also conserves water and uses it with elegant frugality, that saves you laying lots of pipes and water works. You can process the waste on-site and can actually produce value. So I think the general design philosophy should be to take nothing, waste nothing, do no harm. In other words the philosophy of Ray Anderson interface and create abundance by design. This is not about costing more. It will cost less because efficient buildings need so much less if possible done with no no mechanical equipment. It is not about sacrifice and deprivation. On the contrary, it gives you buildings that create light when entered, serenity, productivity and health when occupied, and regret when departed. So they could really do something magical if they harness the best of India’s design talent. It would have a very powerful replicable business case I think it would serve as a beacon to the whole union. On a closing note what would be your key message to our readers? I work for the Chinese Central Government to inform the 13th Five Year Plan, finding a potential to quintuple the Chinese economy by 2050 while using about the same energy as today and getting about 70 percent of it from renewables. That implies at least a fifteen fold – carbon productivity and maybe 20 or even possibly 25. That could be enough to put the world back on a two-degree trajectory. So the quintuple energy efficiency or energy productivity, we are finding very cost-effective in China is bigger than the tripled energy efficiency in the U.S. because China is less efficient to start with and is building more of its infrastructure. But in India the potential may be even larger than in China because China has cut its energy intensity by 5 percent a year for a quarter century through 2001 and is nearly back at that pace. So although India has made some good energy, China’s are probably even bigger. So there is still more to do in India and you are building much more of your infrastructure in India than China. It is easier to build things right than fix them later. So for those two reasons it is possible that Reinventing Fire in India may show an even bigger efficiency potential aided, of course, by the extraordinary entrepreneurship and technical skill of the Indian people.